A couple that dresses in costume together stays together. OK, I don’t have stats to back that up, but it seems like it would be true! 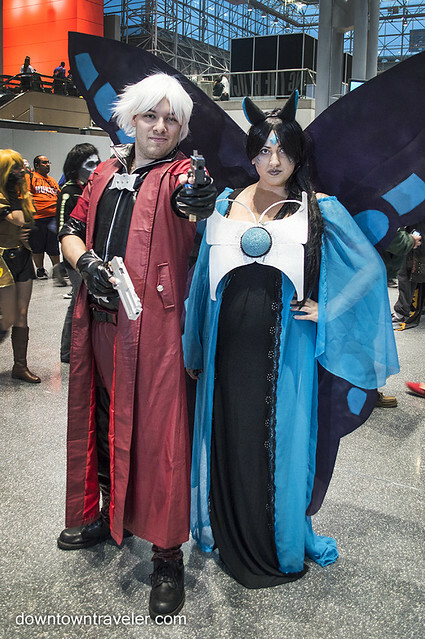 Many couples and groups of friends turned up at NY Comic Con this year in awesome costumes. Some pairings made perfect sense, like Joker and Harley Quinn, while others were from totally different universes. It takes a lot of planning (and perhaps prodding) to get a group costume together, so these cosplayers deserve a special shout. 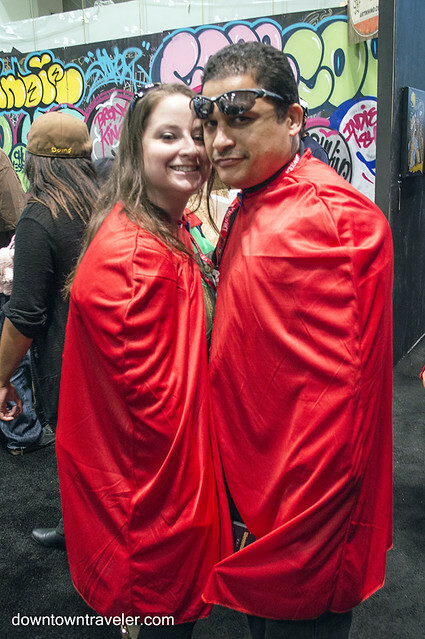 Read on for my favorite group and couples costumes at NY Comic Con. 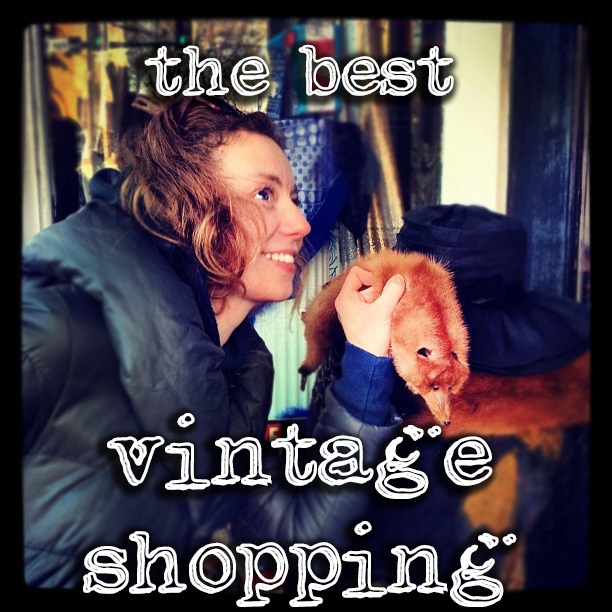 If you find inspiration in these looks, you should start convincing your spouse, best friend or sibling now to dress in a matching costume next year! 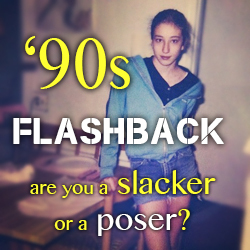 What’s more fun than gathering three friends and dressing up as your favorite characters from a 1990s TV show? This group costume for Xena Warrior Princess is impressive and surprisingly realistic. For someone who “knows nothing,” Jon Snow sure knows how to dress and style his hair. The Game of Thrones heartthrob showed up at a NYCC after party with Melisandre, a fiery villainess, sparking Twitter rumors that the two may get together onscreen. @GameOfThrones @NY_Comic_Con @leslietravel so worlds collide in ADWD? 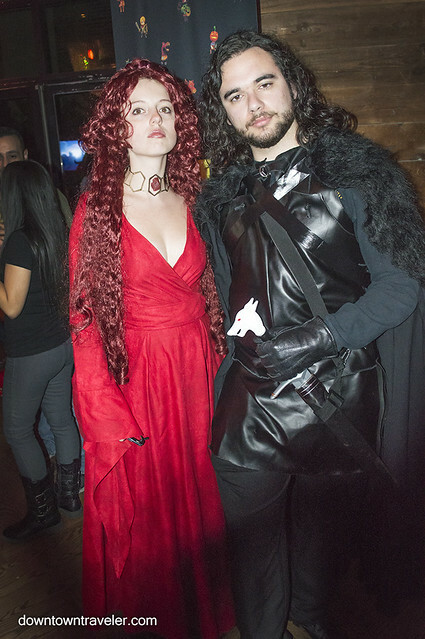 @GameOfThrones @NY_Comic_Con @leslietravel Is just anyone dressed up as Jon Snow automatically HOT? 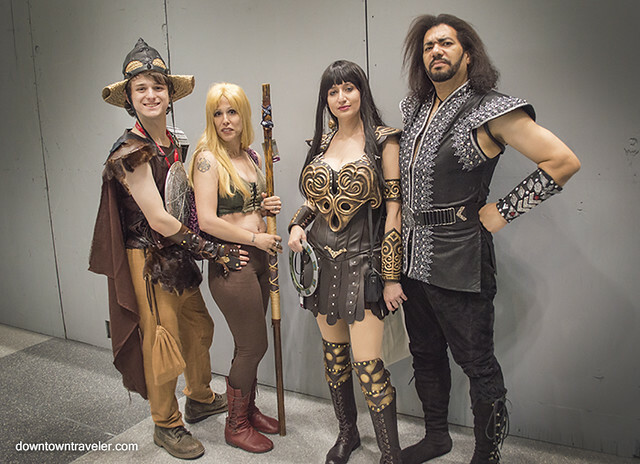 Conan the Barbarian and Red Sonja also made an appearance at NY Comic Con. The leather-clad duo brought giant swords and looked ready to smite any and all enemies. 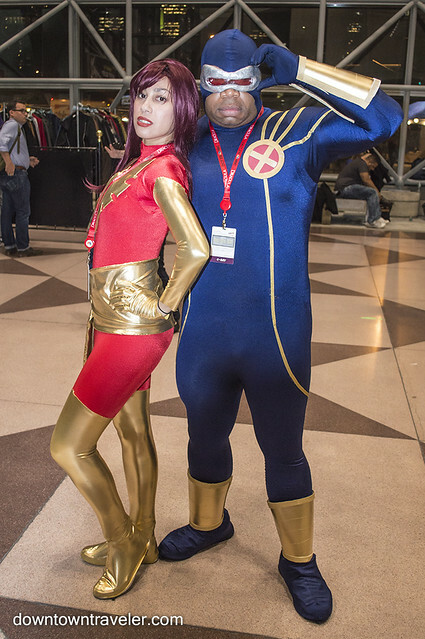 This duo (a woman and her ex-husband) dressed as Cyclops and Dark Phoenix from the X-Men universe. It’s great to see a love of comics so strong that it brings exes back together! Couples costumes don’t have to stick to traditional gender roles. 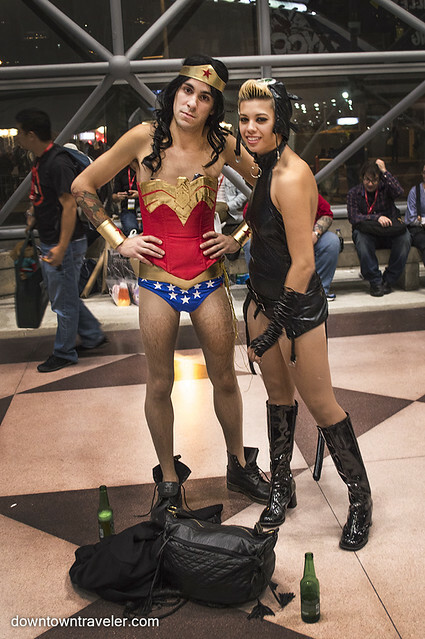 This duo consisted of a male Wonder Woman and a female Cat Woman. Who looks better in these skimpy costumes? Your call! 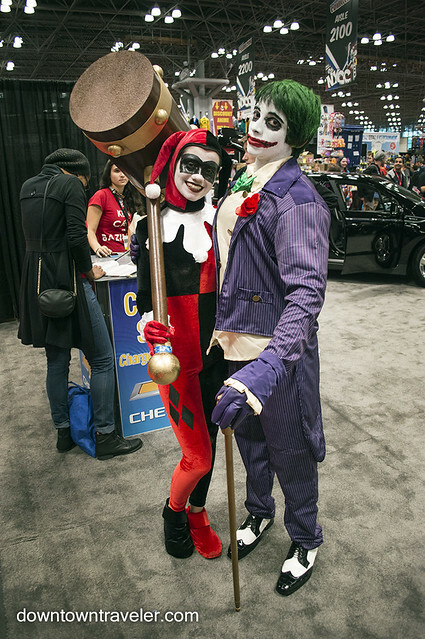 Looking ready to menace Gotham, this couple dressed as fearsome Batman-universe villains Harley Quinn and the Joker. With Harley wielding an immense hammer, the Joker better not get on her bad side. 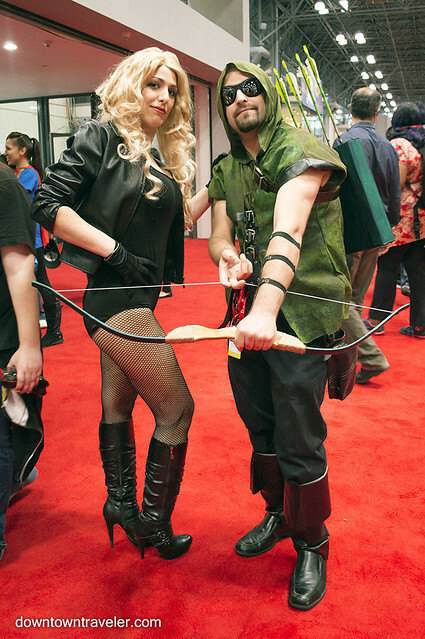 Green Arrow and Black Canary make a handsome couple in the comics and on the convention floor. This couples costume sports some amazing matching boots. Looking for a last-minute costume? 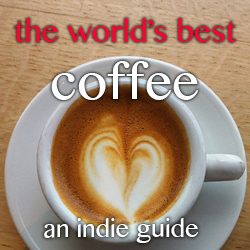 Grab some red cloth and tie it around your necks and…. voila! You now have a couples Superman costume. It’s easy, cheap and everyone will immediately know who you are dressed as. I always dream of dressing in matching couples costumes with my husband, but he usually declines, leaving me to find my own look. That profound sense of loss makes me appreciate a good matching costume even more than the average cosplayer. 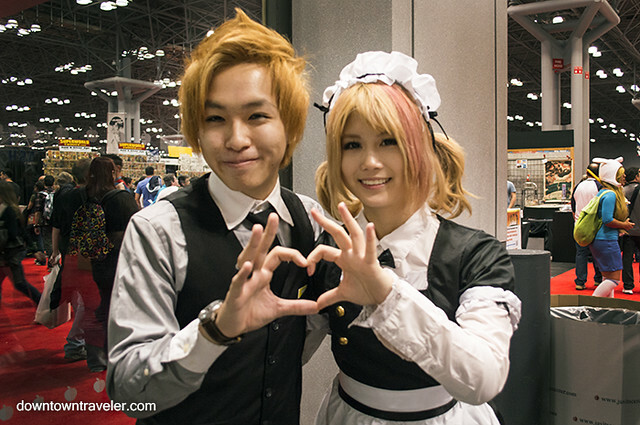 I was impressed by this duo at NYCC, dressed as a butler and a maid. Aren’t they adorable? If it’s not enough to dress in matching costumes, you can dress as the same character. 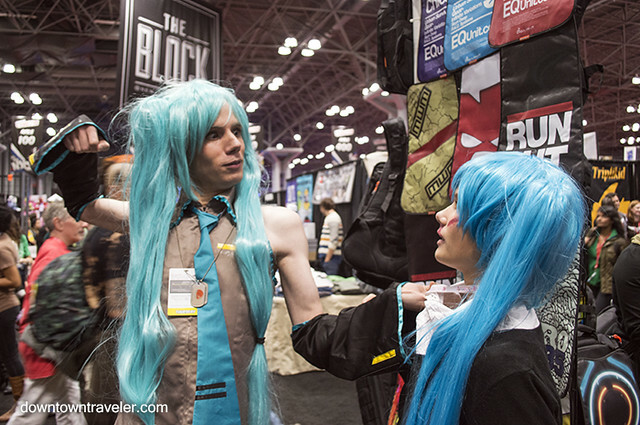 This pair both wore Hatsune Miku costumes, modeled after the Japanese vocaloid. Perhaps the girl wore the look better, because the guy took an attack pose when I snapped this dramatic pic! 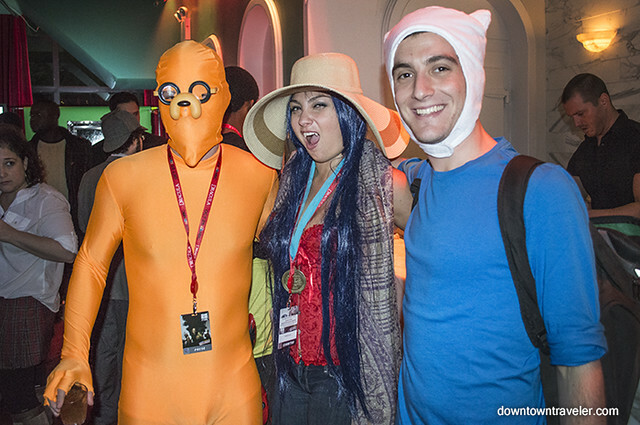 Adventure Time is a rich source of costumes at Comic Con, especially among the under-25 set. This couple dressed as the Ice King and Lady Rainicorn in gender-defying costumes. She caught my eye first with her immense beard, and a piece of my heart melted at seeing this combined couples costume. So cute! You don’t have to wear a costume to present a unified front at NY Comic Con. 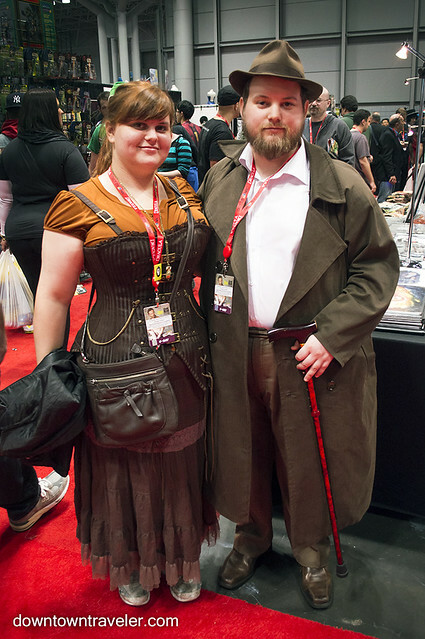 This couple is both dressed in Steampunk fashion. The guy bought the girl’s bodice at the Con, and she revealed it’s an amped-up version of her normal look. In contrast, he dresses like this every day. 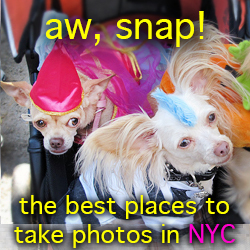 You don’t have to have to wear matching costumes to have a strong couples costume look. 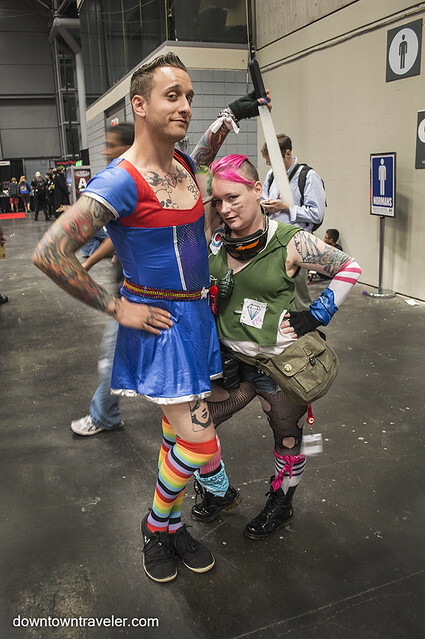 This duo dressed as Rainbow Brite (him) and Tank Girl (her)– two characters in very different universes, but which share an appreciation for pink accents. Luke Skywalker from Star Wars will likely never clash on the bis screen with Storm from X-Men. 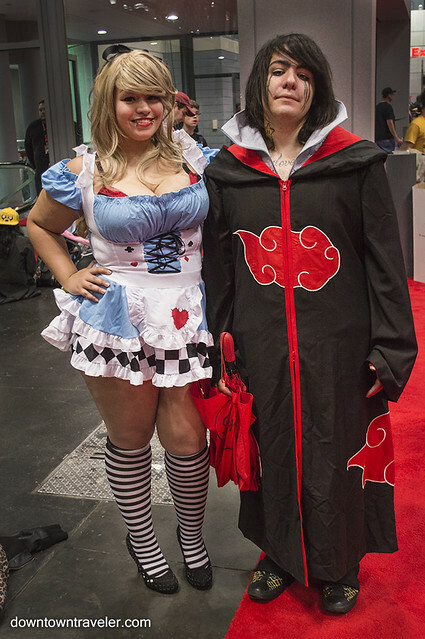 Still, this couple looked amazing with their detailed costumes at NY Comic Con. The woman dressed as Storm was the mom of the Joker in my best children’s costume post. Cosplay must run in this family! As far as I know, the anime character Sasuke from Naruto has never run into Alice in Wonderland. 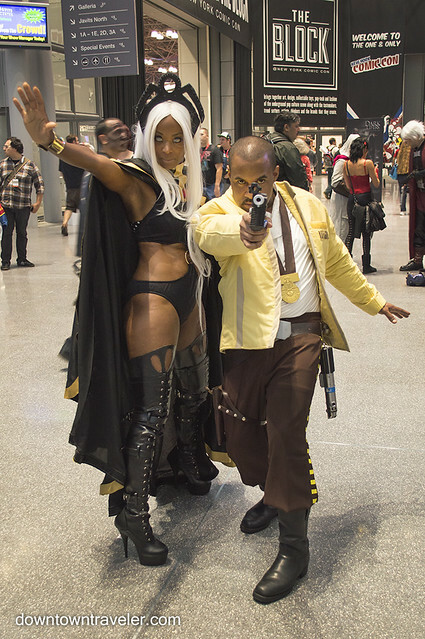 Maybe they should get together, based on the awesome costume pairing at NY Comic Con. 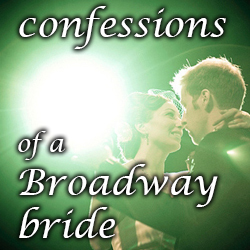 Couples costumes don’t have to imply a romantic relationship. I came across this brother-and-sister cosplay duo at the Con, dressed in looks from different universes. 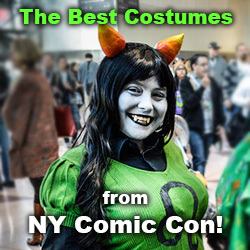 Her Spinel Sun costume made my list of best women’s costumes at NYCC. It’s great to see siblings role playing so nicely together! The more the merrier when it comes to post-apocalyptic survival. 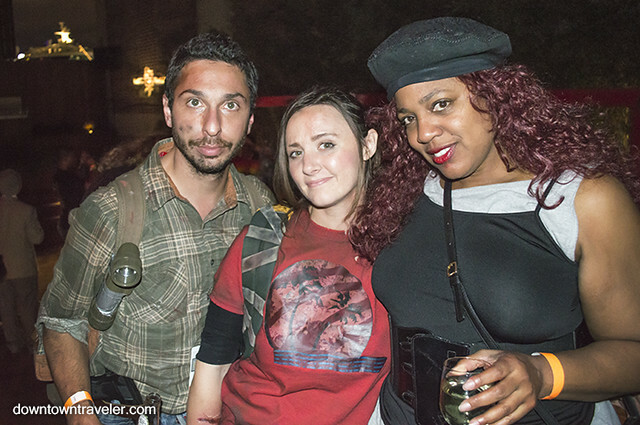 At a NY Comic Con after party, I met this trio wearing costumes from video game The Last of Us. They are dressed as protagonists Joel, Ellie and a female character whose name I did not catch. Their been-through-hell look is very accurate to the game. Some costume ideas can involve a seemingly endless number of friends, like Homestuck or the Batman universe. This trio is wearing Adventure Time costumes: Jake the dog, Marceline the half-vampire and Finn the human. 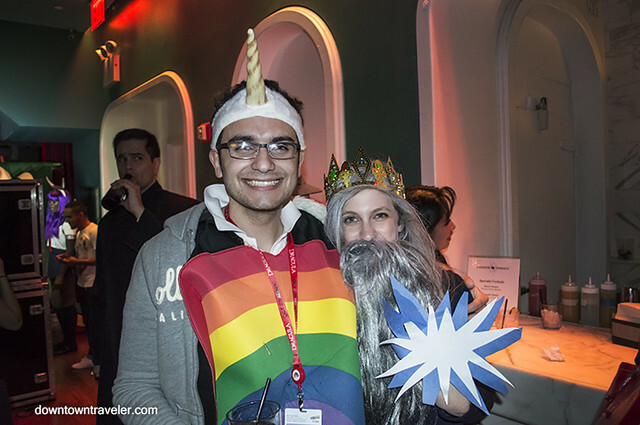 They actually attended NY Comic Con with the bearded Ice King and rainbow unicorn from the photo above, proving that these costumes work in any pairing. 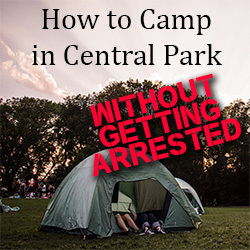 Attending the Con with friends? Why not dress as characters from the same manga? 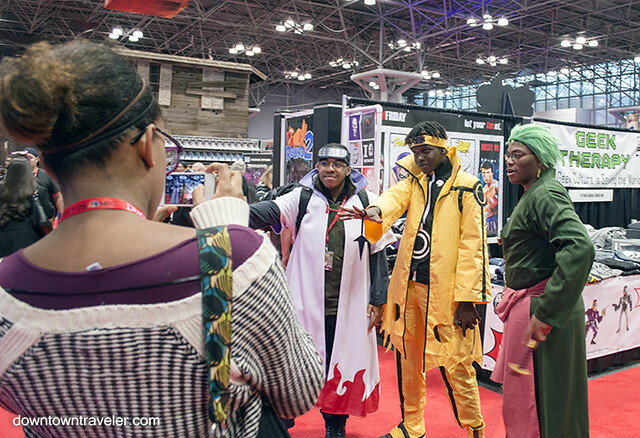 This trio of guys wears costumes from Naruto, which has a huge fan base at the NY convention. 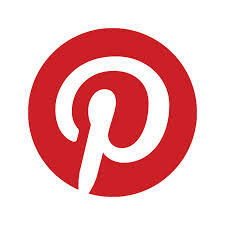 Have you dressed in a couples or group costume? 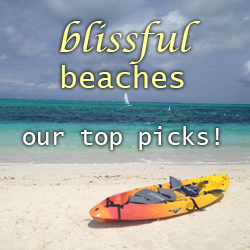 Share your tips with other readers by leaving a comment below! People really go all out with their costumes! 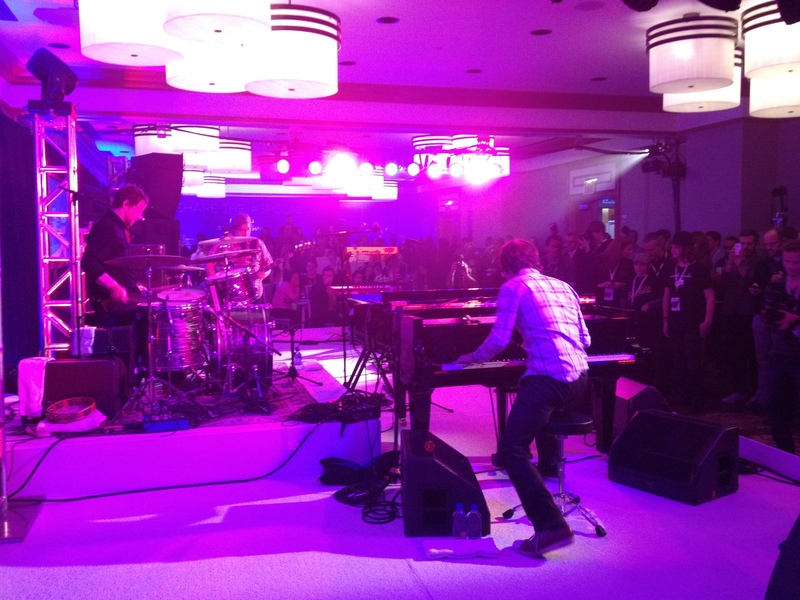 Cool pictures! Thanks! You can always reply on NY Comic Con for amazing costumes. So inspiring! couple costumes are very nice.